December always brings a bevy of holiday shows – folks wassailing about yuletide, snow, and crackling fires. Well, Southern California has never really been one for logs piled high. The only snow we typically have to worry about is the white that sneaks into our hair after age 50. So it follows that C&L’s holiday show will bunt the traditional in favor of the unique and modern. We’re celebrating the season by featuring an evening of music centering around the themes of love, murder, weirdness, excelling in school, and trying not to kill everyone you know. Specifically, a concert featuring the music of Larry O’ Keefe (composer of Bat Boy, Legally Blonde, and recent NY cult hit Heathers). 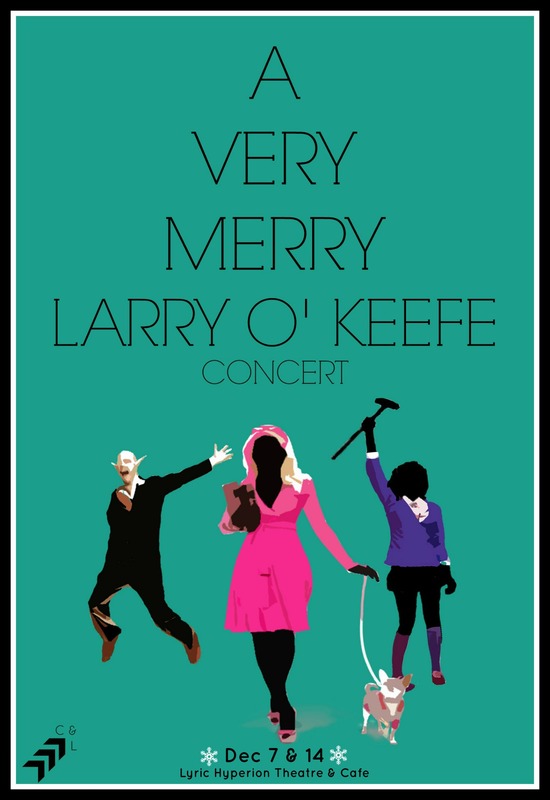 A Very Merry Larry O’ Keefe Concert toasts the holiday season with the work of Laurence O’ Keefe, composer of such Broadway and Off-Broadway hits as Bat Boy, Legally Blonde: The Musical and Heathers. * Experience the seedy underbelly of human emotion this December with dynamic rock musical theatre fare. It’s about to get hot up in here. And we’re not talking about chestnuts roasting on an open fire. *Note: Bat Boy features book by Keythe Farley and Brian Flemming and music and lyrics by Laurence O’Keefe. Legally Blonde features book by Heather Hach, music and lyrics by Laurence O’Keefe and Nell Benjamin. Heathers features music, book and lyrics by Laurence O’Keefe and Kevin Murphy.